The picture was taken in Basantapur during the festival of Gai Jatra. 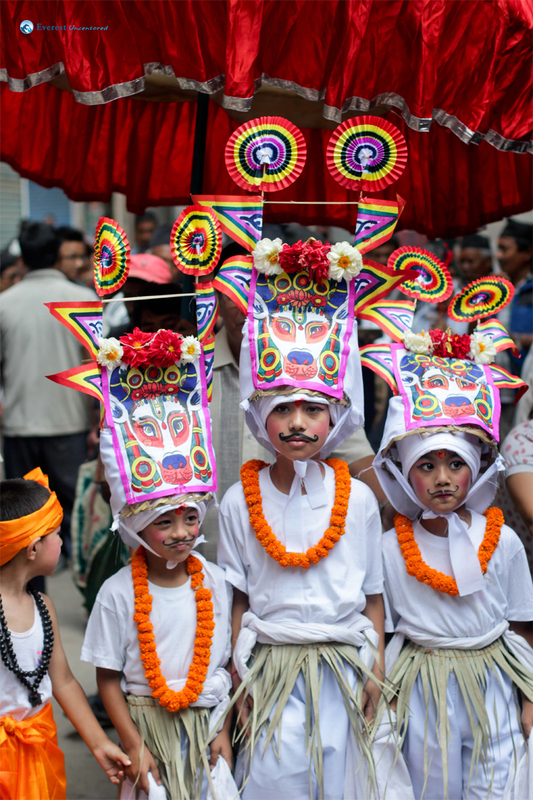 Gai Jatra is the festival when people dressed as cows commemorate the dead. 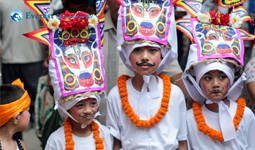 It is celebrated in Kathmandu valley, mainly by the Newar and Tharu community. Every family who has lost a relative in the year participates in the popular festival. The usual custom is to lead a cow through the streets but people also use young boys dressed as a cows in its stead. The festival helps people accept the reality of mortal life and believe in life after death.